Have a Question? Call Us Today at (469) 586-0000. 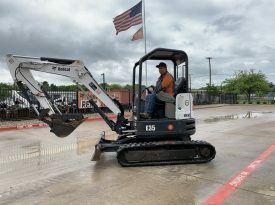 Visit any one of our Bobcat dealers in Cedar Hill, Lewisville, Fort Worth, Longview, McKinney, and Paris TX, and you’ll discover honesty, responsiveness, and innovation are deeply ingrained in our construction equipment sales and service staff and are not just hollow words. 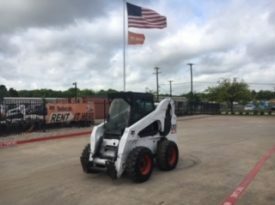 Whether visiting one of our sales consultants, equipment rental representatives, service managers, parts managers, concrete supply representatives, or any staff member at our Texas equipment dealership locations, you’ll always be treated with the respect you deserve. 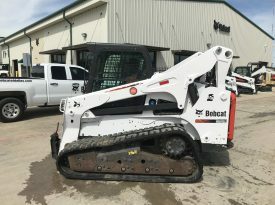 Our mission as a full service Bobcat dealer is to convert everyone who rents or purchases from our construction equipment selection of new and used Bobcat Compact Equipment and attachments into lifetime customers. We will achieve our goal by setting the industry standard on offering a premium product backed by friendly, knowledgeable employees, and premium dealership service and support. 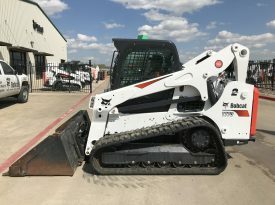 Whether you buy or rent a Skid-Steer Loader, Compact Excavator, Track Loader, VersaHandler, Utility Vehicle, or Toolcat, you’ll experience superior Bobcat of Dallas customer service. 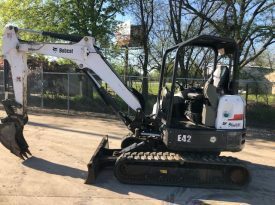 This customer service also extends to our general line of concrete, masonry supplies, and equipment such as rebar, drills, wet/dry blades and saws, trowels, mixers, and decorative concrete supplies. Serving the areas around Dallas, Fort Worth, Cedar Hill, Longview, Lewisville, Plano, Mesquite, Garland, Richardson, Denton, Tyler, Carrollton, Desoto, Irving, and Melissa, TX. 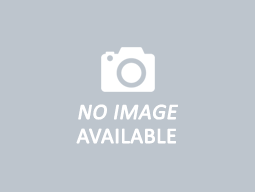 Our friendly, knowledgeable staff is dedicated to superior customer service and developing customers for life. We make it easy to finance your machine or equipment. We have the parts & service to keep your equipment running properly. 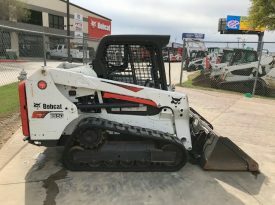 We have a variety of compact construction equipment for every job. 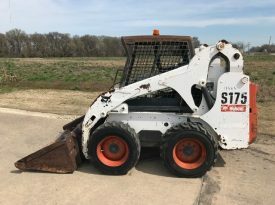 © 2019 - Bobcat of Dallas | A division of Berry Companies, Inc.